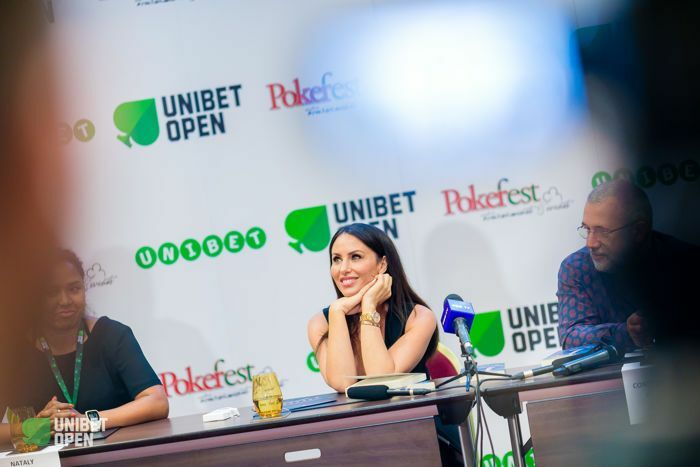 There is tons of excitement in Bucharest thanks to world-class skier turned poker princess Molly Bloom in attendance at the Unibet Open. By now, most poker fans will know Bloom's story. After a book was turned into a movie starring Jessica Chastain and Idris Elba, the details of her illegal underground Hollywood poker game have been widely shared. Bloom hosted the #QueenRules Ladies Event on Friday which gave us the chance to sit down with her in the Romanian capital. The Hollywood movie Molly’s Game was very popular, and not just with poker players. Bloom shared that the movie told her story well. Bloom believes everyone, including the actors and actresses, did an incredible job. She explained that Chastain’s portrayal of her “raised the bar” of herself. As many people have speculated, not all of the characters in the movie were based on one single individual. Bloom confirmed that in many cases, it was a composite of many individuals including the infamous Player X.
Bloom isn’t done telling her story quite yet as she is working on a second book. What Bloom might be up to next is anyone’s guess, including Bloom’s. This is the first time Bloom has attended a Unibet Open. She desired to visit a new country and it's her passion in challenging the gender bias that attracted her to the #QueenRules and the festival. Bloom is impressed with what she sees, mainly how well it is run and how civil the players behave compared to games she was hosting. The Unibet Open provides a poker vacation for many of its players, taking them to destinations they may not otherwise explore. Bloom has taken advantage of her time in Bucharest and, when not at the casino floor, has experienced some of the Romanian capital’s rich culture. Bloom didn’t hop into any of the poker action at the Unibet Open. In fact, despite being around the game, Bloom has never played a hand of poker. However, she finds the game exciting and might one day decide to play. “Sure, absolutely, my heart starts beating a little faster when I hear the chips,” said Bloom about whether she may have the itch to one day sit down and play. Whether or not Bloom decides to stay involved in the poker community is anyone’s guess. Regardless, it still shaped Bloom into who she is today. Many poker players that enjoy sports have seen strong parallels between the two. Bloom has an interesting insight due to her competing at the highest levels in skiing before she got involved in the poker world. PokerNews asked Bloom to expand on some of the things she learned from her involvement in poker. Bloom wants to help push the advancement of women in a classy way. Her involvement in the #QueenRules Ladies Event fits right into her passion. Molly Bloom is in Bucharest for the Unibet Open. PokerNews has a team on the ground to give you all the live updates from that tournament. Head over to the Unibet Open Bucharest live reporting to stay up to date on who's winning, and who's losing.